If you have been reading this blog for a while you know I am always obsessing over gold/brassy, shiny things. For example, I recently did a post on Shiny Gold Things and I have been known to be a big fan of spray painting things gold like these little trays here. And remember me swooning over Christian Liaigre's Paris apartment with all that gold detail? Really, I think a lot of things can be easily improved upon by adding some gold. Agree? 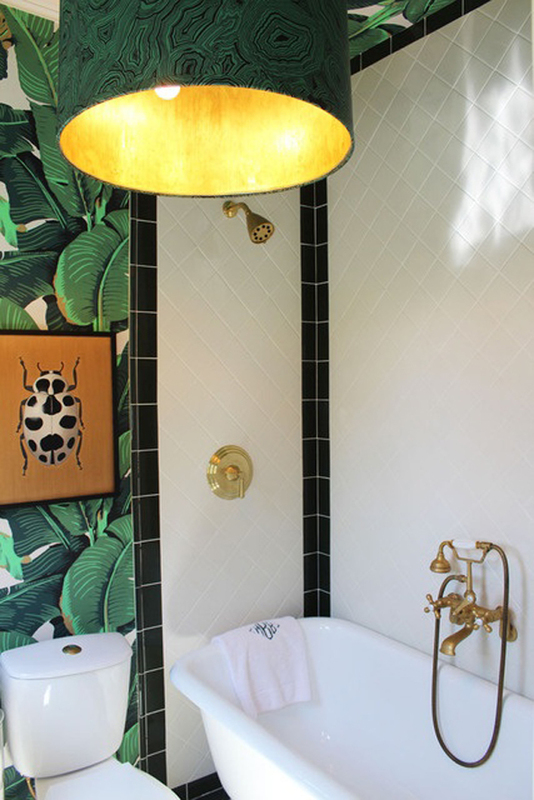 Well, I think gold is making a come back in interior decor in terms of hardware- in doors (knobs, hinges), faucets, lighting, cabinet pulls, lighting switches....And so here I daydream of some gold hardware. 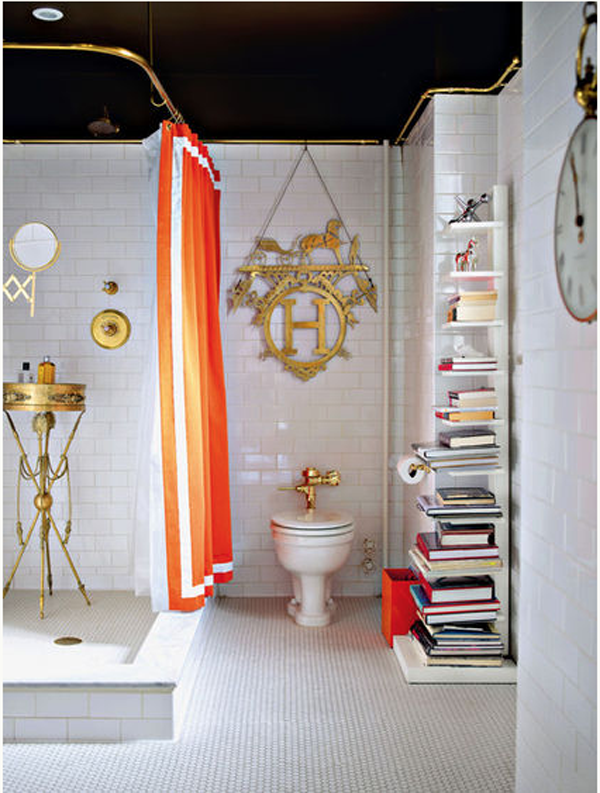 I mean....aren't you in love with Jonathan Adler's bathroom above? (ooh, by the way, I have that orange trash can in my office! It's from a collaboration he did with Bed and Bath some years ago. It's a cheapie but a goodie). How about these beautiful faucets (above and below) and that gorgeous extractor? 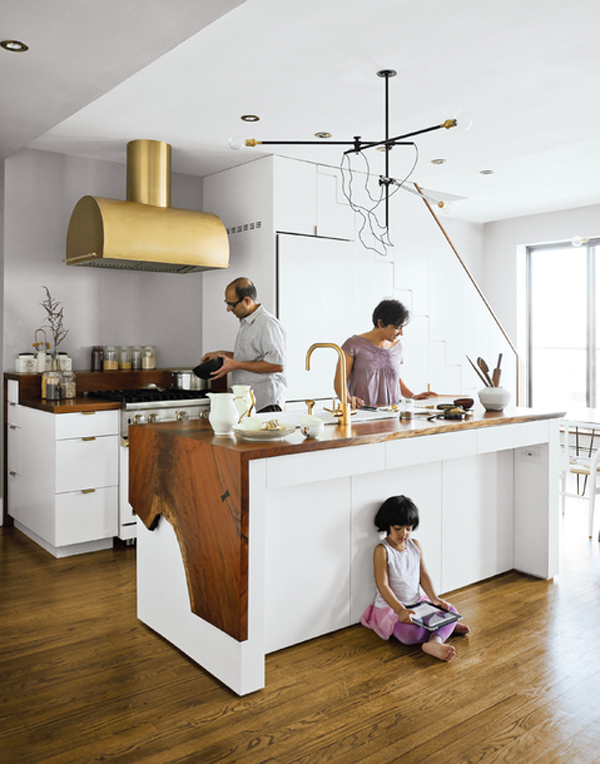 Are gold accents around the home for you? Or do you prefer the chrome or nickel look? I think we all get used to things nowaways with the overexposure of the internet even if we initially hate something, somehow we get used to it and start appreciating it in a different way. I have a mix. Oil rubbed bronze for doors and hinges....silver for faucets and such...and some gold for furniture hardware. I know if I commit to gold..silver will come back, and so on, and so on. You should see my apartment, there are bits of gold EVERYWHERE! I love the bathroom inspiration and how it is incorporated in different ways. Gold makes me happy too!! Me too! You know how most women like the platinum setting with engagement ring....I love the gold so much more! I completely concur. I love anything gold. In fact, I recently painted a gold mirror black and my man was SHOCKED. He couldn't believe I actually changed something FROM gold rather than change something TO gold. I'm not sure about gold...I like your inspirations very much, but not for my home. It is the same that happen to me with red dresses: love it, but for another woman. I'm ALL about the gold. 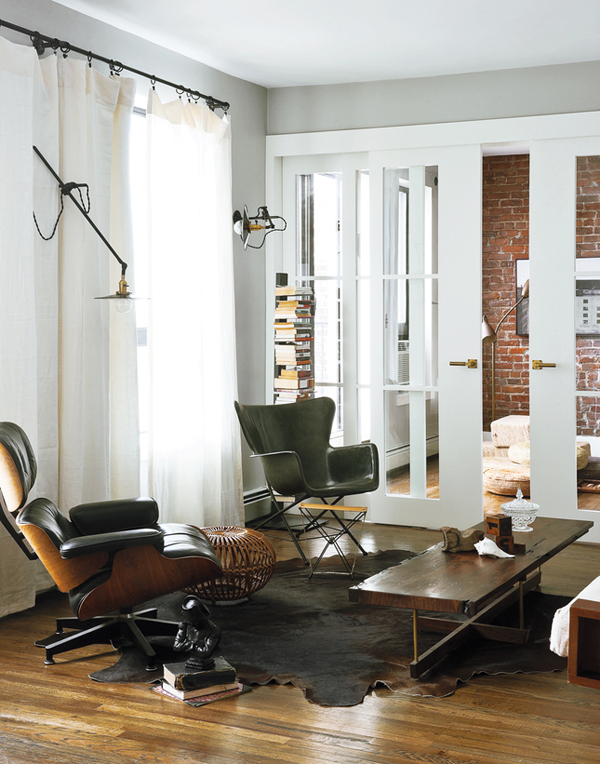 I recently added brass rods and rings for curtains and now I want them on every window. Yesterday I found a mother and baby brass giraffe at a consignment store -- SCORE! Yes!! Ever since I saw the homes of Sea of Shoes and and her mom Judy I can only think about the gold figurines! SO excited for your score :) I can imagine how beautiful the curtain rods look like. Perfect update! I'm loving gold too right now! Reminds me of my favorite restaurant EVER Bottega Louie. All white, marble, and gold. So elegant. I long for these golden accents in my home! These are all such beautiful images! A hint of gold and I'm obsessed. The first bathroom is AMAZING!! love your blog! 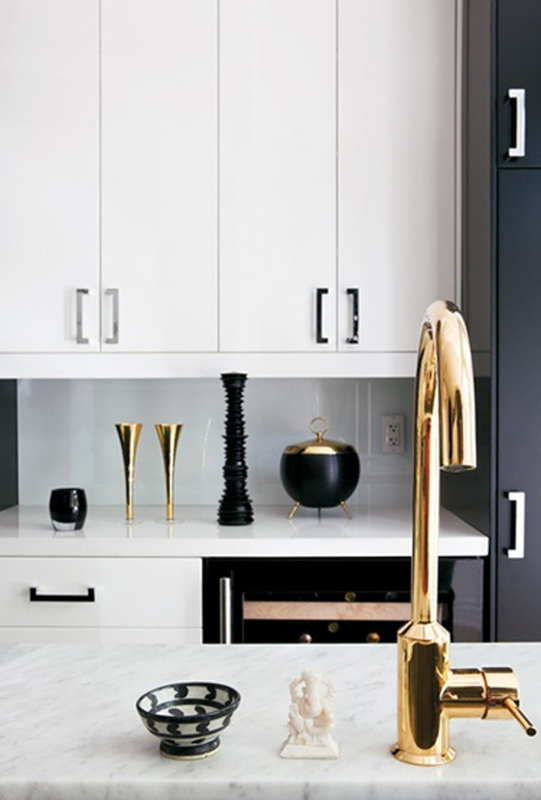 Any idea where I can buy beautiful faucet in the black/white kitchen picture?